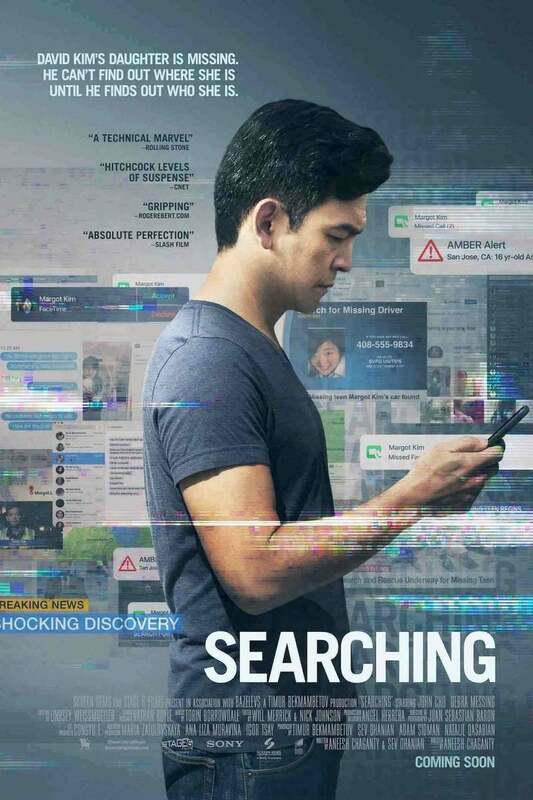 Searching DVD and Blu-ray release date was set for November 27, 2018 and available on Digital HD from Amazon Video and iTunes on November 13, 2018. Searching is a technophobic thriller about a 16-year-old girl named Margot who has mysteriously gone missing after she leaves a study party. Determined to find out what happened to her, her father decides to take matters into his own hands and hacks into her laptop. It is there that he discovers some deep dark secrets about his daughter. Accused of possibly being the capturer, the father struggles to prove himself innocent during the investigation. Experienced completely through the camera lenses of computers and smart phones, the movie is a unique cinematic experience.